Redlands, California—Esri, the global leader in spatial analytics, today announced the publication of Imagery and GIS: Best Practices for Extracting Information from Imagery. The book teaches the fundamentals of collecting imagery via remote sensing systems and then using the imagery within a geographic information system (GIS). Imagery is at the heart of GIS technology, providing most of the data in maps. The data comes in the form of aerial photos, thermal and satellite images, digital elevation models, and scanned maps. Imagery and GIS: Best Practices for Extracting Information from Imagery shows how imagery can be integrated into a GIS for mapping and analysis. Readers will learn how to select the correct imagery for their GIS projects, conduct image analysis, efficiently manage and serve imagery datasets, and accurately extract information from imagery. Chapters cover topics such as imagery collection and processing, digital elevation models (DEMs), data exploration, image classification, and change analysis. Helpful resources in the book include case studies, along with a section on acronyms and a glossary of imagery; remote sensing; and GIS terms. 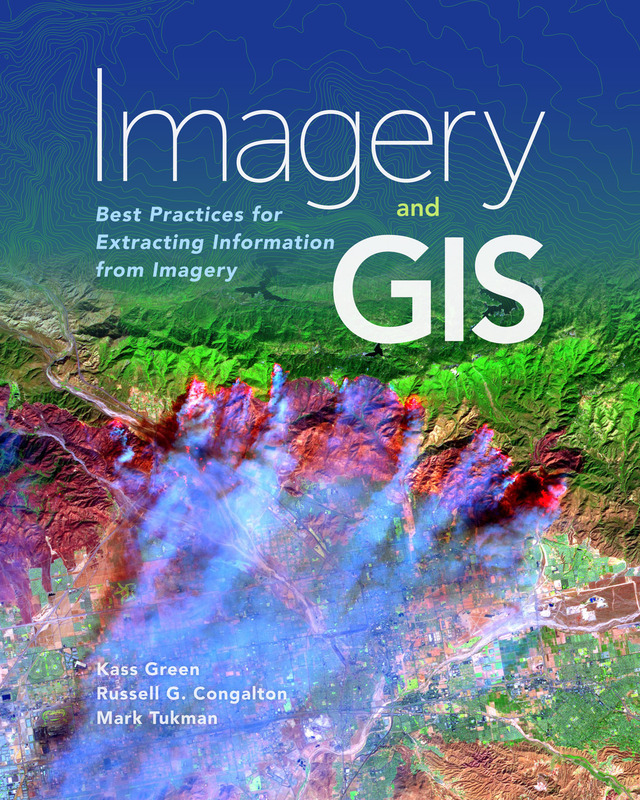 "This book teaches readers about the many ways that imagery brings value to GIS projects and how GIS can be used to derive value from imagery," authors Kass Green, Russell G. Congalton, and Mark Tukman wrote in the introduction. The book is based on the in-depth knowledge acquired over decades of research and project work conducted by the authors. Green is president of Kass Green & Associates, a firm in Berkeley, California, with expertise in remote sensing and GIS; Congalton is a professor of remote sensing and GIS at the University of New Hampshire; and Tukman is owner of Tukman Geospatial, a Santa Rosa, California-based company that offers remote sensing and GIS services. 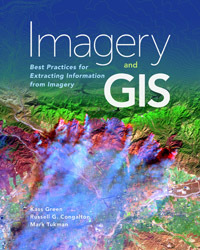 Imagery and GIS: Best Practices for Extracting Information from Imagery is available in print (ISBN: 9781589484542, 418 pages, US$99.99) and as an e-book (ISBN: 9781589484894, 418 pages, US$99.99). The print and e-book editions of the book can be obtained from online retailers worldwide, at esri.com/esripress, or by calling 1-800-447-9778. Outside the United States, visit esri.com/esripressorders for complete ordering options, or visit esri.com/distributors to contact your local Esri distributor. Interested retailers can contact Esri Press book distributor Ingram Publisher Services.